Digital Photography Tips, Digital Photography Techniques, Amateur Photography, Portrait Photography, Landscape Photgraphy, Studio Photography, Fashion Photography, Wedding Photography. What is the Future of Digital Photography? 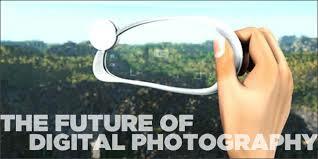 Do you see a future for digital photography? Quite a radical question in the feeding frenzy of digital camera marketing. To me digital photography is the best thing that has ever happened to photography. But, what is its future? A difficult question to answer and possibly a loaded one. Film photography was always known as just 'photography', never film photography. It was the standard. With the emergence of digital photography this standard has been challenged. My question is, "will digital photography become the standard or will it remain the ugly sister of photography"? 1. All digital cameras need to develop to the point that they are equivalent in quality to that of the most basic film camera. They must eradicate the digital vs film debate. There must be no difference between the two formats. The most expensive digital cameras are getting close to that standard but the point and shoot models cannot compete with their film counterparts. I think that with the pace of development, despite an economic crisis, consumers are demanding that lower end cameras need to improve in quality. Although, true photography is all about the SLR and I think we are on the road to the quality needed to compete with film cameras. 2. There is a mindset change that quantity is better than quality. Thought that went into taking a photograph with film has all but disappeared. The speed with which digital images are taken degrades the results of good photography. This is evidenced by the quality of images submitted to competitions, placed on forums and displayed on blogs. If this mindset changes and we start putting more thought into photography it does bode well for digital as an art form. How do we change this so that digital is synonymous with photography? I personally think that the key is education and learning. In the same way that digital photography has changed the face of photography digital has changed the face of publishing. Great learning material is available in electronic form as free education or reasonably priced education. 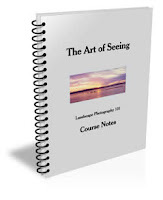 It is now cheap and easy to learn about photography and the techniques of improvement. It doesn't take an expensive course or diploma to radically improve your images. It's as simple as buying an eBook or an electronic course. Many have money back guarantees so the risk is minimal. Easy to find and easy to learn. The key is to learn photography and not just digital photography. When film photography was born it was perceived as an art and much care was exercised in the execution. It was birthed in and developed with this mindset and, linked to the costs involved, remained mostly as an art form. Even the masses exercised care in its practise. But, with digital photography it is very different. What it has done is make the art form cheaper, simpler and faster. Whenever you add these three factors to anything in life, it opens the door to loss off technique, lower quality and diminished value. This is seen by the billions of electronic images that remain on DVDs, hard drives and memory cards, unappreciated and valueless. It's in this world that the art of photography has to find its place and raise its head again from the chaos of digital. Digital is the best thing since sliced bread. The only question that now needs to be answered is will it rise to the occasion and become the new art form or will it be the vehicle that is responsible for the loss of a great art form? 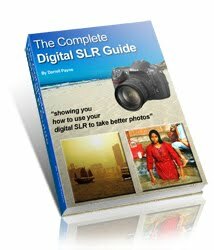 Digital Photography Success Review : A digital photography ebook is for anyone who likes to take photos as a hobby, a professional person in this field or any photo taking enthusiast in general. 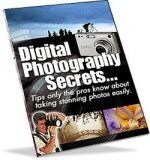 The author of this digital photo taking success guide's name is Amy Renfrey. She is someone who likes to take photos and she is professional in this field. Let me give you some quick facts about her guide and what you should expect from it as a an enthusiast in taking shots using a camera. * It teaches the secrets of flowers and their beauty in this field. Learn Photography Even if you know nothing about digital camera. The Amazing Photo Secrets That Gurus Will not Tell You! 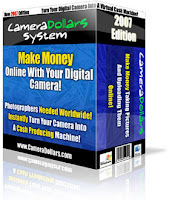 If you have a digital camera (or you are thinking about getting one) and you have ever wished that you had more money coming in to pay off debts, buy those little extras you’ve always wanted, or just to save for a rainy day … then this is definitely the most important System. Master Landscape Photography With Professional Photographer Erik Gunzel. Step-by-Step Home Study Course With Cheat Sheets, 6 Videos To Download, Stream On-line And For Video IPod. 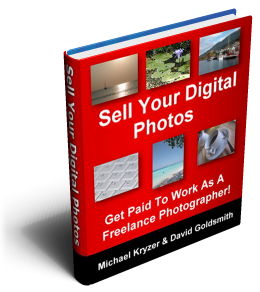 Digital photography has been a breath of fresh air for most of professional Photographers Corner. Red Eye is a common problem with image capturing because of on-camera flash. To avoid it, move your flash off-axis and choose a connecting cord and flash bracket. Then simply bounce the flash off of something like a wall or ceiling. An alternative is to use a remote flash trigger to keep the flash off the camera. After you transfer your digital images from your media card to your laptop or computer, make sure the photos open up and are saved off of the camera’s card before you delete the files. I.E. don’t accidentally delete the images without saving them elsewhere and making sure they are really there first. That can be a bummer, especially with wedding photos or other important 1-time occasions where you can’t do re-takes. Always carry along extra batteries, your re-charger and adapter, equipment instructions and an extra media card or two. You never know where you might need your supplies, and don’t want to miss great shots. If you want to use your photos that have people in them, plan ahead and find simple permission forms to print out and stash in your photo bag. To locate forms, search online for “permission for photos form” and customize one for your own company or private brand. Check in local library photography books for a quick one to print out, too, or at a local professional photo shop for other sources.